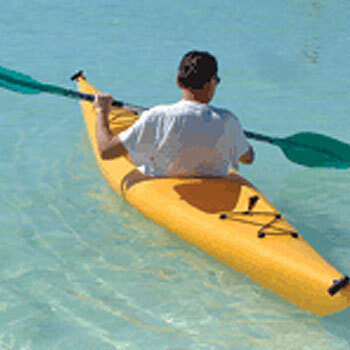 Chaaya Reef Ellaidhoo Maldives beach resort Hotel is one of the most famous holiday resort hotel in the Maldives. It was known before as Ellaidhoo tourist resort but after the new management of Chaaya, it has been re-branded as Chaaya Ellaidhoo. This small island is surrounded by a beautiful house reef and is said to be ibn th best location for those dive enthusiast. Ellaidhoo has got all nature’s wonders, it is blessed with all the offerings for a perfect Maldives holiday experience. 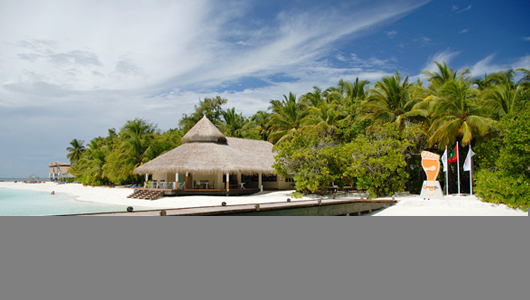 Whether it is Honeymooners, Families or Diving, Chaaya Reef Ellaidhoo has it all. Located 42 km away from Male, the capital of Maldives, offering guests four star accommodation facilities in spectacular surroundings, book this resort which is only 25 minutes by seaplane or 85 minutes by speedboat. 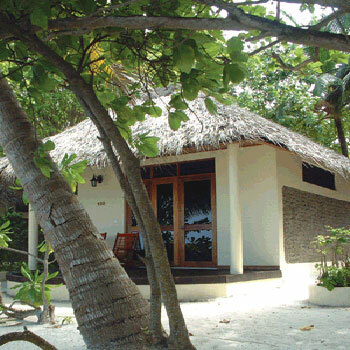 These Rooms are built as two separate rooms in a single storey structure and are located just behind the Beach Bungalows. Rooms are furnished with a Double Bed, Wardrobe, Mini Bar, Air-conditioned, Satellite TV, IDD Telephone, Hair Dryer, Open air bath room, Hot & Cold Water, Bath Amenities including beach towels, bath towels and Tea/Coffee making facility. These rooms’ front faces to the Garden. 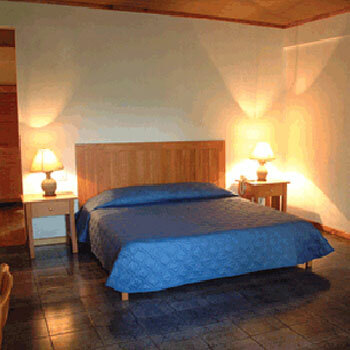 These Rooms are built in blocks of four rooms as two storey structure (two rooms down and two rooms up). Rooms are furnished with a Double Bed, Day Bed, Wardrobe, Mini Bar, Air-conditioned, Satellite TV, IDD Telephone, Hair Dryer, Open air bath room with bath tub, Hot & Cold Water, Bath Amenities including beach towels, bath towels and Tea/Coffee making facility. These rooms’ front faces to the ocean. These Rooms are built as one single room in a single storey structure. Rooms are furnished with a Double Bed, Day Bed, Wardrobe, Mini Bar, Air-conditioned, Satellite TV, IDD Telephone, Hair Dryer, Open air bath room with bath tub, Hot & Cold Water, Bath Amenities including beach towels, bath towels and Tea/Coffee making facility. These rooms’ front faces to the ocean.